People love discussing trading strategies, but equally crucial risk management strategies don’t get as much attention. Whenever the topic of trading is brought up, the discussion frequently centres around strategies that can give us the highest profits in the shortest amount of time. Far fewer people discuss risk management when it comes to trading. Ironically, most experienced traders would say a trading strategy that does not consider risk management is hardly a strategy worth discussing. Although the term risk management may come across as rather abstract, it’s actually not. As its name suggests, risk management is simply about managing your risk. Think of it as wearing a crash helmet when you are cycling, strapping your seat belt on when you are driving, or doing your warm-ups before starting a rigorous workout. We do these things in order to reduce the risks that we may face when carrying out these activities. The same applies to trading. Being a high-risk, high-return activity, every trader needs to adopt some form of risk management strategy when executing their trades. Without adequate risk management, even the most profitable short-term traders will eventually make a mistake and bust their trading account. In this article, we highlight five simple but very important risk management habits every trader should adopt. The biggest mistake a new trader can make is not putting a stop-loss on their trades. 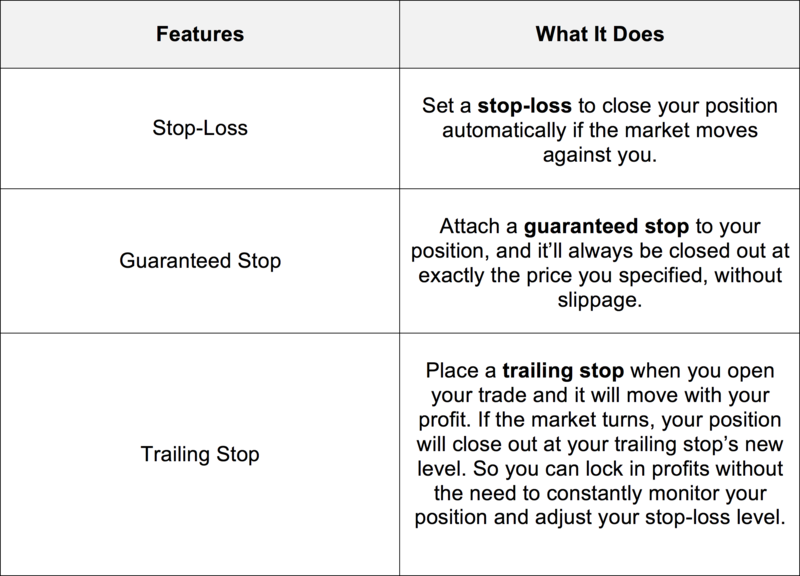 A stop-loss is an order that automatically closes your trading position once your trade hits a certain pre-determined loss level that you have set. Despite the fact that many trading articles constantly remind traders to set a stop-loss on their trades, many new traders still make the costly mistake of not doing so. Hence, it’s common to find many new traders experiencing first-hand of busting their account due to the absence of a stop-loss. There are a variety of features, including setting a stop-loss level, which can be used to protect traders’ positions in the market. The 1% rule simply means never risk more than 1% of your total capital in your account on a single trade. Traders should never expect to win every trade. In fact, some successful traders actually make more losing trades than profitable ones. Obviously, the only way they’re still successful is that they’re able to limit their losses on trades that go against them, and earn more from those that they’re right on. Hence, it makes sense to never risk too much of your account in any single trade, since you can never be 100% sure of the outcome of a trade at the point you enter a position. The 1% rule ensures that your losses are kept to a minimal when you are wrong, and that you will survive to trade another day. Some traders however prefer stretching this rule to 2%. While there isn’t a fixed rule, the underlying principal is that you need to know how much of your capital is at risk for each trade you make. When you trade, think of it as a job. For most of us, working is a means to an end. We work in order to earn money to provide for ourselves and our family. The better we are at our job, the higher the pay we can command. It works the same way when it comes to trading. Your primary focus should be to do your job well – that means trading well, rather than being fixated on making profits. The better you trade, the higher the profits you can expect to make. Trading well means putting in the effort to do your own research, back-testing any new strategies you may want to employ, executing the strategies and keeping a close tab on your results. It also requires you to recognise the mistakes that you are making and to learn from them. You can also get involved in a trading community in order to learn from others. IG hosts a community where traders of all levels can participate and learn from one another. As a trader, you need to focus on being a good trader. Yes, profits are important and we are not saying it isn’t. But just like how it’s like in a regular job, doing good work will often lead to getting better results and profits. There are many different types of traders. Some traders prefer day trading and may hold their positions from as little as a few minutes to a few hours. Others are swing traders who may hold on to their positions for days or even weeks, as long as the market is still trending in their favour. Beyond just timeframe, there are also many different asset classes such as stocks, bonds, forex, indices, commodities and even cryptocurrencies now. As a trader, you need to understand yourself well. Are you someone who gets impatient easily, and think trading on an hourly timeframe would be too slow for you? Or does an hourly timeframe seems too quick for you to make a good decision? These things matter. A strategy that works on an hourly timeframe may not work for a 5-minute timeframe or even a daily chart. You need to understand your own personality, the time you can afford to put into trading each day and the type of assets that you want to trade. All these will eventually help you formulate your trading strategy. Like it or not, you cannot afford to ignore daily news stories. Depending on the asset classes that you trade, you will need to keep up-to-date on relevant news that could impact the prices of the assets which you are trading. For example, interest rates have a big impact on forex and bond prices while supply and demand, weather, government policies and economic cycles, will affect the prices for commodities . Obviously, it’s not possible to read every single piece of news every single day. However, the point is that you must be familiar with the kind of news that can affect the asset classes you are trading, and be prepared to take measures to protect yourself in the event that a piece of news is unfavourable to your trading position. If in doubt, you should stay out of trades whenever you anticipate an announcement is to be made. If you want to stay updated with relevant news, you can consider reading up on the news and analysis provided by brokers like IG. While not every news may be relevant, it will help you build up the habit of staying in touch with what’s happening around the world. You could even set news alerts on Google Alert to send stories with relevant key words directly to your inbox. Good habits, once adopted, can go a long way in helping you become a better trader. 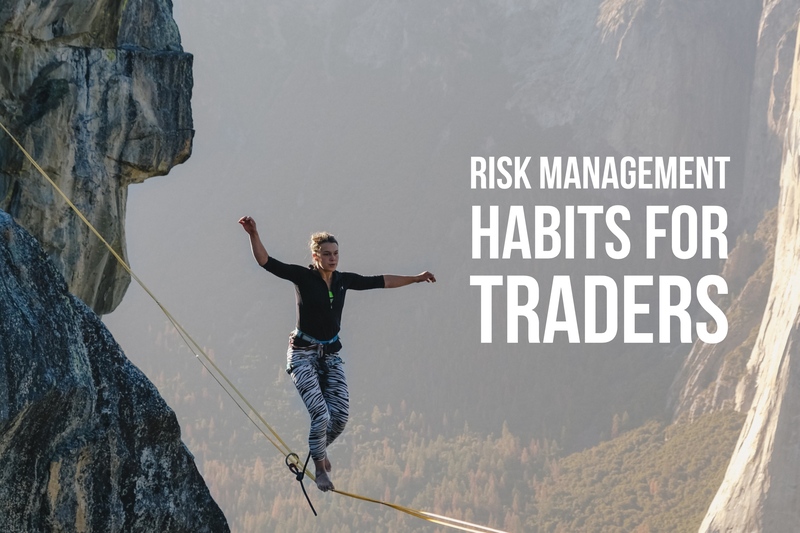 And while it’s enticing to spend your time reading up on strategies that can help you become more profitable, it’s equally important to adopt the right risk management habits, and put them into practice when you trade. If you are new to trading and would like to get started, we will always recommend that you start off with a demo account first. A demo account allows you to understand the mindset you need to take as a trader as well as familiarises you with the various tools that you can use to manage your risks, before putting actual money into your trades. What Does It Mean To Be An Accredited Investor In Singapore?